Graphic India launches exclusive “baahubali: battle of the bold” digital comic available for this week to android users on the “graphic pop” app, for free! Bangalore, India — February 27, 2017 – Graphic India, Arka Mediaworks and acclaimed filmmaker S.S. Rajamouli, announced the release of, “Baahubali: Battle Of The Bold,” an exclusive new digital comic available for FREE this week, only on the Graphic Pop app available in Google Play for all Android devices. 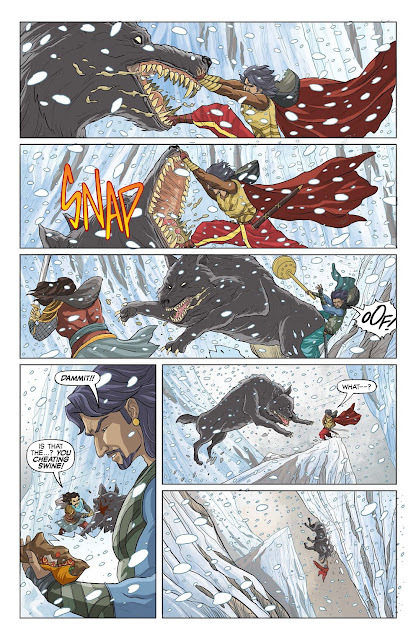 "Graphic India has been the leading force in original comics and animation for India. I am thrilled to be working with them to finally bring our fans this untold story of Baahubali which will reveal new insights about the characters from the film in a story about an epic tournament that shaped Prince Baahubali's life early on," said acclaimed filmmaker and Baahubali creator, S.S. Rajamouli. Baahubali : Battle Of The Bold, takes place years before the events of the film, this never before seen story showcases a younger Baahubali and Bhallaladeva taking part in an epic and deadly tournament of champions, competing against fearsome warriors from around the world. At stake is the honor of Sivagami and the kingdom of Mahishmati. The price for failure? Death! 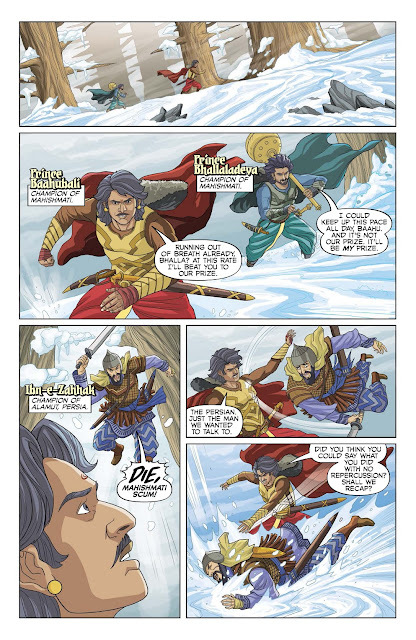 The comic book adventure is an essential new piece to the Baahubali story and a must read for all fans of the film. 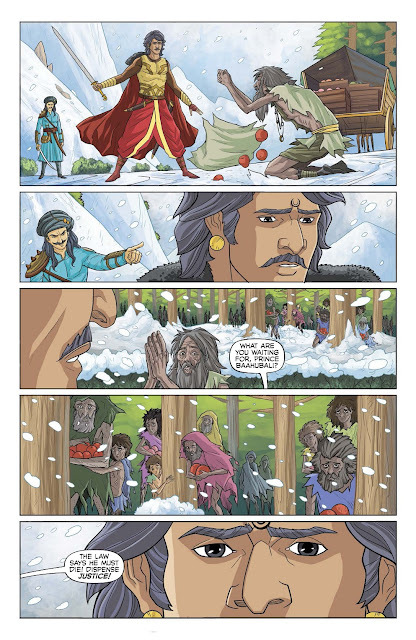 "We are excited to continue to expand our partnership with Graphic India to release this new Baahubali digital comic experience.” Commented Shobu Yarlagadda, CEO of Arka Mediaworks, “The quality of this first Baahubali graphic novel captures the high visual art and storytelling that we are sure will appeal to both the fans of the film as well as to comic book readers across the country." In addition to the new comics, Graphic and Arka are also working on a larger animated series event, entitled, “Baahubali: The Lost Legends,” which is in production and was recently announced in partnership with Amazon Prime Video. As India’s leading comic creator, the Graphic POP! app also features numerous other Graphic India comics available for FREE including, CHAKRA THE INVINCIBLE; 18 DAYS; DEVI, SHADOW TIGER, MYTHS OF INDIA, THE MIGHTY YETI and many more, with new FREE comics added every week, available in English, Hindi, Tamil and Telugu. GRAPHIC INDIA is a character entertainment company focused on creating leading characters, comics and stories through mobile and digital platforms. Led by media entrepreneur and Co-Founder, Sharad Devarajan, Graphic India is owned by U.S. comic book Company, Liquid Comics, Start Media LLC and CA Media LP, the Asian investment arm of The Chernin Group, LLC (TCG). The company’s partners and investors bring together decades of experience in building businesses in character entertainment, media and India. Graphic believes that India is home to some of the most creative talent in the world, with more than 500 million people under the age of 25 and more than 850 million mobile phone users in the country. The Company’s mission is to create enduring stories and heroes that foster the imaginations and fuel the inspirations of a new globalized generation of youth in both India and around the world. Arka Mediaworks founded by Prasad Devineni and Shobu Yarlagadda is a leading TV and film production house based out of Hyderabad, India. For over 15 years now Arka has been consistently producing prime time TV shows and movies in several languages including Telugu, Kannada, Oriya, Marathi and Bengali. It has produced commercially successful and critically acclaimed Telugu films such as Maryada Ramanna (remade into Hindi as Son of Sardar) and Vedam . “Baahubali”, India’s most expensive film, is Arka’s most ambitious project till date. A two-part film, Part I – “Baahubali: The Beginning” released in Telugu, Hindi, Tamil and Malayalam simultaneously in 5000 plus screens world-wide and collecting over Rs 600 crores at the Box Office. The highly anticipated part 2 of the film Baahubali: The Conclusion is currently under production.